Newly released historical documents are giving insight into a mass killing during the World War II era that is not covered in public schools. Japanese Unit 731, a group that specialized in biological warfare, committed horrifying atrocities during the Japanese Army’s occupation of northeast China—and the United States was complicit in its cover up. According to a report from Xinhua Net News, 24 documents were collected in Japan on Thursday that were written by members of Unit 731. This adds to the current public information on the unit, categorized in the Museum of Evidence of War Crimes by Japanese Army Unit 731, which was opened in 2015. Jin Chengmin, a curator for the museum, described the main purpose of the unit’s activities as “human experiments, production, experiments and use of germ weapons.” He told Xinhua News that more than 3,000 people were subjected to experimentation at Unit 731, including prisoners of war and civilian men, women and children. The victims suffered gruesome deaths at the hands of a variety of cruel experiments carried out by their captors. 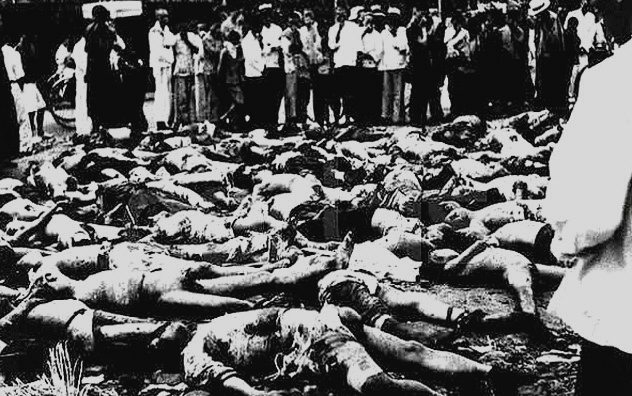 According to a report from Sinosphere, published with the New York Times, Unit 731’s biological warfare included committing atrocities such as breading plague microbes and then deliberately infecting thousands of men, women and child to study the results; transfusing humans with horse blood and testing the effects of different weapons on the body; and experiments in vivisection, air pressure and frostbite. Stories from the days of Unit 731 include a mother and daughter who were locked in a gas chamber while doctors waited and watched from safety to see how long it would take them to die; live bodies locked in chambers with dead bodies to see how long it would take diseases to spread; and a man who was deliberately infected with the plague, and then operated on with no sedatives. 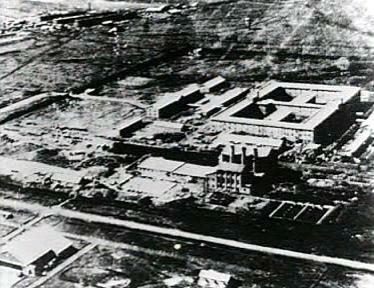 Unit 731 was established in Harbin, China, in 1935. The memorial museum showcases information on the group’s production scale, which included thousands of kilograms of deadly pathogens each month, such as 300 kg of plague bacillus, 600 kg of anthrax bacteria, and 900 kg of typhoid bacteria. The Unit also produced more than 2,000 germ bombs loaded with fleas infected with plague bacillus between 1937 and 1942. “If war had not ended in 1945 and Japan had begun large-scale germ warfare, that could lead to the disappearance of humans, given the production capacity of Unit 731,” Yang Yanjun, associate researcher at the Unit 731 Research Center of Harbin Academy of Social Sciences, told Xinhua News. While Nazi doctors who were accused of similar practices were prosecuted for “crimes against humanity” during the Nuremburg Trials following World War II, it should be noted that no one involved with Unit 731 has ever been tried for war crimes. One of the main reasons the U.S. never pursued action against the Japanese—even though there were reports of U.S. Prisoners of War included in the experiments—was detailed in a declassified U.S. military counterintelligence file, which revealed that the U.S. struck an immunity deal with the Japanese that gave the U.S. reports on human experimentation, in case it ever pursues biological warfare against Russia. Next articleWhere Do The Happiest People Live?